Rover Company is a British automotive company. Was abolished in 2005, the brand Rover wanted to buy the Chinese company SAIC, but the brand was sold to Ford. 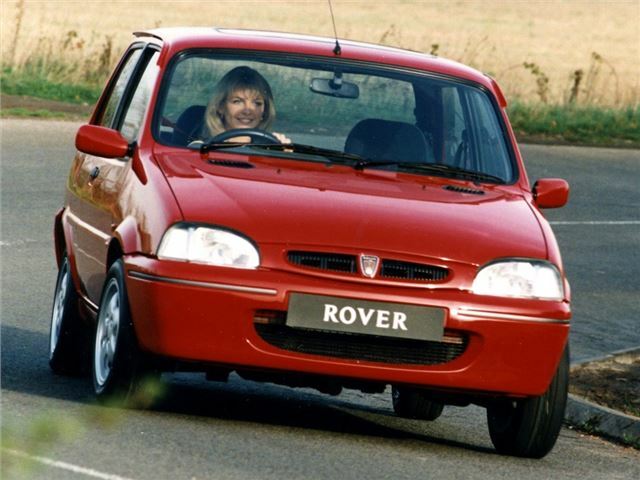 At present, cars under the brand name "Rover" are not produced. The company Rover was founded in 1887 by John Kemp Starley and William Sutton. The company started with bicycles. The first Rover bike appeared in 1884, and as early as 1886, the first so-called "Safe Starley Bicycle" was patented for the first time, the patent for the invention belonged to John Kemp Starley. The main distinguishing feature of this bicycle was the presence of a drive on the rear wheel, which was driven by pedals and chain, while earlier models of bicycles had a small rear and huge front wheel on which the pedals of the so-called. Pennyfarthing. The first Rover brand appeared in 1889 and was a simple crew with an eight-horsepower engine. The company's advancement in the automotive market began after Starley's death in 1901 and is primarily due to the arrival of Harry Smith in the company, which in 1904 involves the company in the automotive business. The first series of cars Rover was released in 1904. The cars of this series were a two-seater with a motor power of only 8 horsepower, with water cooling. However, it was impossible to consider the car comfortable, since it practically did not have a rear suspension: the rear axle was attached directly to the frame. In 1905, Rover produces a new kind of car - it's Rover6. The model had rear springs and the same engine as the previous model. However, the volume of the engine was less, only 0.8 liters. Also in 1905 there were new four-cylinder models of the car: 16/2016/20 and 10/12, which had a lever that allows the driver to turn the camshaft. Rover6 was produced for 7 years until 1913. The release of the new Rover model is primarily due to the arrival of Owen Clegg (1910) in the company, which launched a 12-horsepower Rover 12 with a 2.3-liter 4-cylinder engine. A special feature of this model was the engine oil pump. It was the company's first such engine. Also the model is equipped with electric headlights. The model was produced before 1914. During the First World War, Clegg switched to assembly of cars, instead of manual, which was practiced earlier. As well as the company's priority direction was the production of military equipment, mainly it was powerful motorcycles for the British and Russian armies, three-ton trucks and ambulances. After the war, the company released an updated version of the Rover 12 with the index Rover 14, featuring a new head unit and more power. In connection with the difficult economic post-war situation, the company offered consumers an economical Rover 8 car with a two-cylinder 2-cylinder engine with a power of 8 hp, which accelerated the car to almost 60 km / h. Low cost attracted buyers and for 6 years the company produced about 17 thousand cars. In 1924, the new model Rover 9/20, but it was not successful, as both the design and characteristics of the car had long needed to be updated. It is with this goal in mind that the Norwegian designer Peter Poppe is invited to the company, who is developing a new model Rover 14/45. The Norwegian has developed a scheme of the engine structure that was not used before. The car used an upper-shaft motor with a hemispherical combustion chamber. However, in practice, the car turned out to be too heavy, gluttonous, had problems with the camshaft and oil leakage. Therefore, in 1925 the model was replaced by a new car with an index of 16/50, which had a 2.4-liter engine. In 1928, Peter Poppe developed a 6-cylinder engine, the model was named Rover 16 hp Light Six. In 1932 appears Rover 14 Speed, which developed a speed of 130 km / h. It is this model that Rover company has to gain reputation as a company producing fast and elegant cars: the leather interior of the car is decorated with inserts of polished veneer and rich decorative trim. With the outbreak of World War II, Rover once again reoriented to the production of military equipment, now it was engines and aluminum wings for aviation and power plants for the British Army, as well as jet turbines for British fighters Gloster. After the war, in a difficult economic situation, the company's management decided to release cars for export. So there was a left-handed series of models P2. However, with regard to the internal trim of the car, the company remained true to itself: the body of the P2 was a steel body panel mounted on an ash frame, the leather interior is decorated with wood inserts. In 1946, 50% of cars were sold abroad, and in 1947 - 75%. In the same year of 1947, a seat appeared under the radio, a heater was installed. But the car seemed old-fashioned and so in 1947 the release of this model was discontinued. After that, the company's management decides to bet on middle-class consumers, in connection with which a new model of the car - P3. It receives a fully metal body, an independent front suspension, as well as a hydromechanical front brake drive. Two modifications were made to the model, which differed in engine power: the Rover 60 and Rover 75 with 60 and 75 hp, respectively. Model P3 was produced until the end of 1949. In 1949, the Rover P4 was the leader in the European automotive industry, as the American Studebaker Champion was used as the basis for the model, the hood and wings of which were a single whole. Refusing the usual grille, the Rover P4 designers left the third headlight on the radiator, which is why the Rover 75 got the nickname "Cyclops". However, it soon became clear that this headlight worsens engine cooling, and by 1952 it was abandoned. In 1950, a hydraulic brake system appeared on the model. In 1956 appears Roverdrive (P4 105R), which became the first in the history of the company model with automatic transmission. Rover P4 was produced until 1964, during this period 130,342 vehicles were produced. Rover P5 appeared in 1958. The design was similar to the Jaguar brand of the time: the car became wider, lower and with smoother body contours. The designer of the model was David Bach. The car had an independent torsion suspension in the front and a dependent rear spring, resulting in a good handling of the car. In 1962, the debut version of the P5 Coupe. The car had a lower roof, a tachometer and an oil pressure sensor. And in 1963 the power of the engine increases up to 134 horsepower. Rover P6 appeared in 1963. The car had a bearing body, disc brakes, and also a 4-cylinder engine that accelerated the car to 100 km / h in 14 seconds. In 1976, appears Rover SD1, which replaced the Rover P5 and Rover P6. It was this model (hatchback) in 1977 that won the title of "The Car of the Year" in Europe. In 1984, appeared compact front-wheel-drive Rover 200, it was created in conjunction with the company Honda. The model was based on Honda Civic. 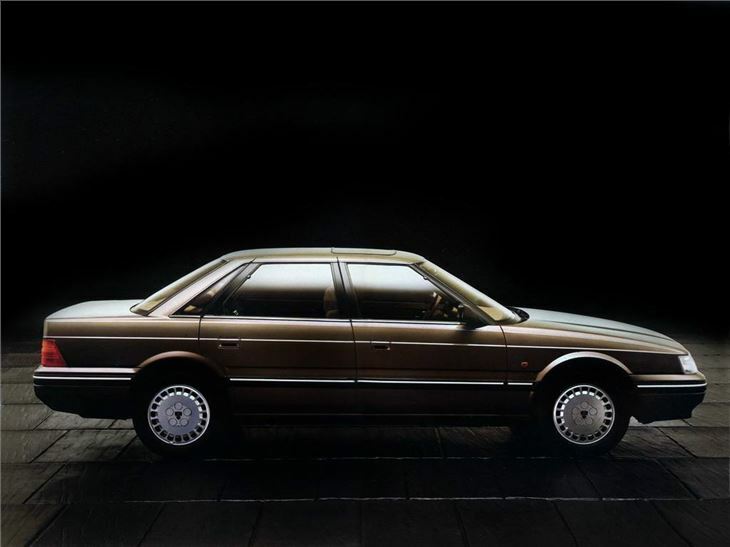 In 1986, again together with Honda was released sedan Rover 800, which combines the signs of both the Rover (2-liter engine Rover) and Honda (engine V6). 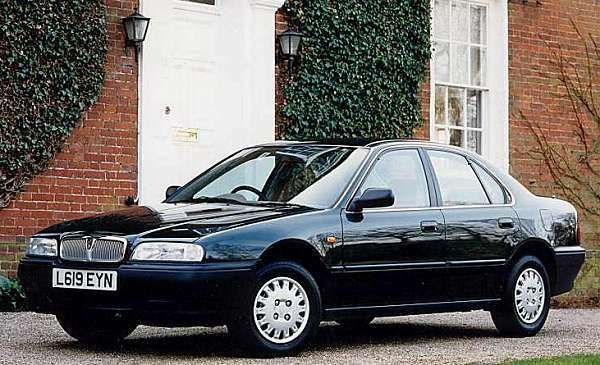 In 1989, the Rover 200 was updated and received a new K-series engine, as well as the launch of the Rover 400, which is the development of the 200 series. 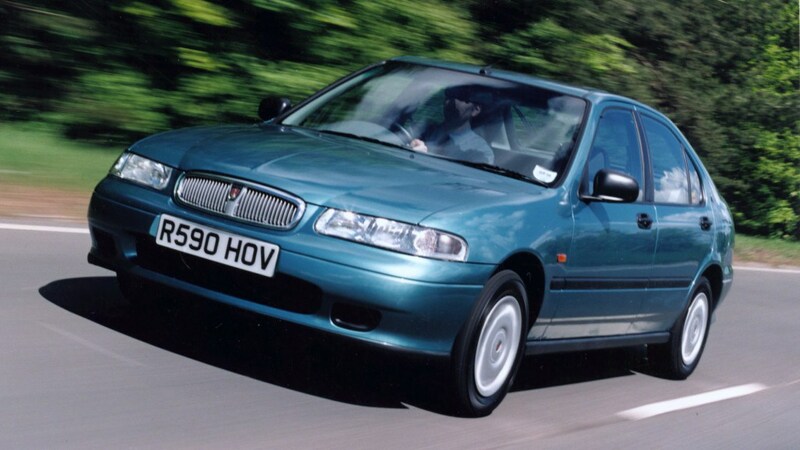 The consequence of the fact that in 1994 the company Rover was bought by BMW, was a completely updated lineup of Rover. So, new models of the 200th and 400th series were released. 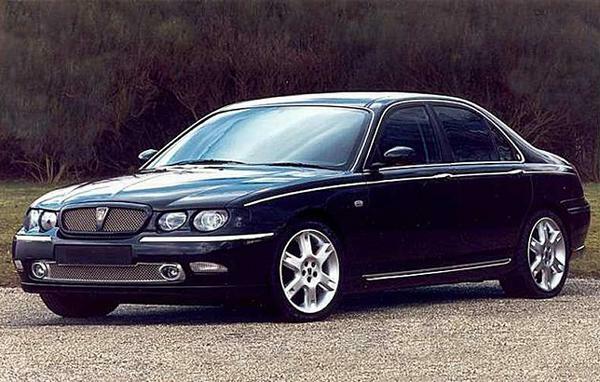 And at the end of 1998 the world appeared Rover 75. In 2000, the brand, together with the entire MG Rover Group, was sold by the BMW concern of the Phoenix Consortium, owned by top managers, and during 2000-2005 the cars under the Rover brand (Rover 25, 45, 75) were produced without the participation of other automakers. In 2005, the bankruptcy of the MG Rover Group became apparent; Drawings flagship - Rover 75 - were sold to SAIC Motors (China), and the brand Rover was sold to Ford, which owned the brand Land Rover. Currently, the Rover brand, together with the Land Rover brand, belongs to Tata Motors.